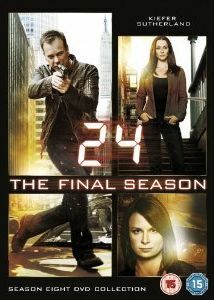 It’s December which means the evenings are long and dark…a good moment to start watching Season 8 of ‘24‘! Hahaha, it’s couch potato time!! This entry was posted on Sunday, March 2nd, 2008 at 17:35	and is filed under Uncategorized. You can follow any responses to this entry through the RSS 2.0 feed. You can leave a response, or trackback from your own site. Edit this entry.